Islami Bank Bangladesh Ltd. (IBBL) Scholarships to the meritorious and Poor and helpless students in need of financial aid studying at different levels of education since its beginning. Every Interested Bangladeshi SSC Pass and Now HSC Studying students can apply from within 20 February, 2018. Source: The Daily Bangladesh Protidin (30/01/2018) and http://www.islamibankbd.com. d. Applicant must is Very Poor, Meritorious and Children of the freedom fighter will be considered specially for the scholarship with the conditions mentioned above. 4. Application Submit Process: IBBL Official website or Collect your nearest IBBL Branch Office or below form download and print 4A size paper. Fill up all information carefully. IBBL Nearest Branch Office will be submit. Direct IBBL Head Office not received your application. 6. Terms & Conditions: Please see the advertisement and Application Form bottom side. 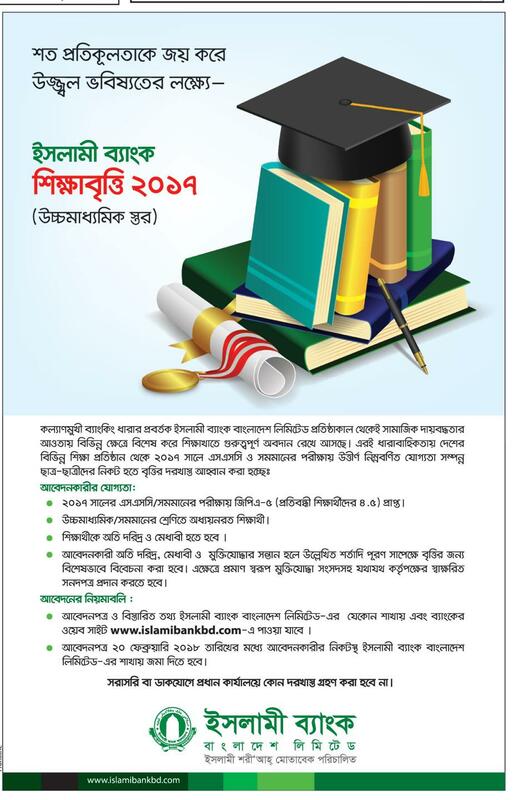 Islami Bank Bangladesh Ltd. (IBBL) authority will be published HSC scholarship Result their Official website notice board http://www.islamibankbd.com. 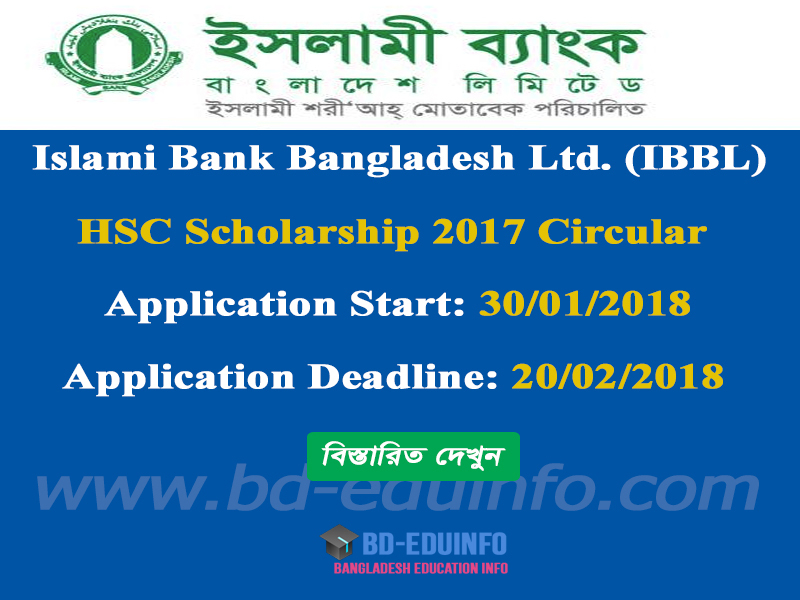 Tags: Islami Bank Bangladesh Ltd. (IBBL) HSC Scholarship 2017 Circular, Islami Bank Bangladesh Ltd. (IBBL) Application form, IBBL HSC Scholarship 2017 Circular, Islami Bank Bangladesh Ltd. (IBBL) hsc scholarship 2017 primary selected list, Islami Bank Bangladesh Ltd.(IBBL) hsc scholarship result 2017. 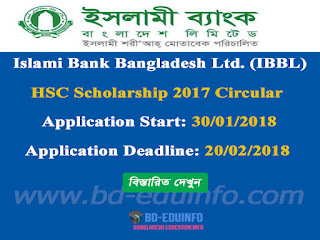 Islami Bank Bangladesh Ltd. (IBBL) HSC Scholarship 2017 Circular, Islami Bank Bangladesh Ltd. (IBBL) Application form, IBBL HSC Scholarship 2017 Circular, Islami Bank Bangladesh Ltd. (IBBL) hsc scholarship 2017 primary selected list, Islami Bank Bangladesh Ltd.(IBBL) hsc scholarship result 2017.